Looking for a flexible roof coating that offers excellent protection against the weather of Colorado and Wyoming? GacoFlex Acrylic Roof Coatings are simple to install over an existing roof and are an efficient solution for commercial roofs that need extra protection. By installing an acrylic roof coating, you can extend the lifespan of your existing roof. If you are looking for the ideal roof coating for your commercial building, we invite you to reach out to the team at Sorensen Roofing & Exteriors for a free estimate. 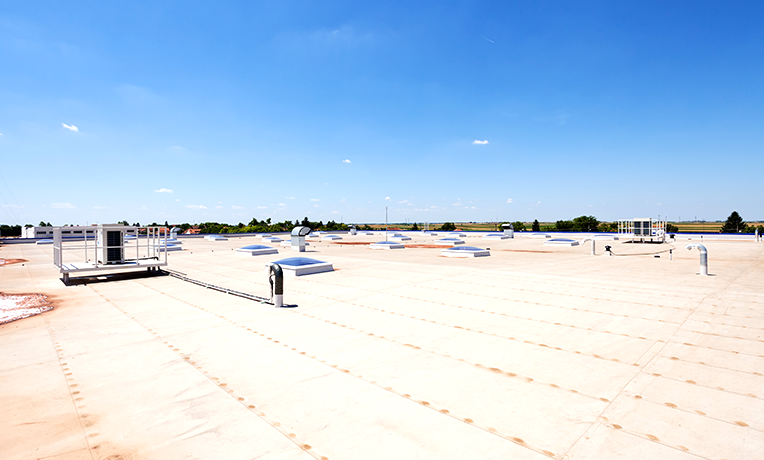 We provide an array of roofing services geared toward commercial roofs. As trusted Greeley roofers with an outstanding reputation for quality workmanship, you can trust us to provide you with the ideal commercial roof for your needs. When it comes to installing a roof coating, you want one that will strongly adhere to the existing surface. GacoFlex Acrylic Roof Coating was engineered to adhere firmly to a variety of roofing materials, such as metal roofing and asphaltic roofs. Want to improve your energy efficiency? This roof coating provides outstanding solar reflectivity, lowering energy costs and improving the lifespan of your roof. After installation of this acrylic coating, you can easily clean your roof with soap and water. Better for the environment, this product provides a low odor VOC and is non-flammable for added protection. When it comes to installing a new product on your existing roof, you want to know that you are receiving the best quality materials, as well as the best quality installation. After all, the investment you make in a new roof coating will only be as good as the team who applies it. Our expert Top-Rated local commercial roofing team is here to assist you in choosing the ideal roof coating for your needs, as well as applying the roof coating up to industry standards. Request a free estimate from Sorensen Roofing & Exteriors today and learn more about how GacoFlex Acrylic Roof Coating might be the ideal product for your needs. Your Greeley commercial roofers are ready to assist you in protecting your building for years to come.